Nokia just announced a new device powered by Symbian Anna OS. 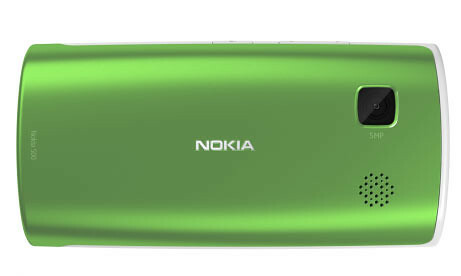 The Nokia 500 boasts a 1GHz processor and interchangeable back covers. It’s aimed at the mid range market who wants to own a smartphone but does not want spend much. The Nokia 500 spots a 3.2-inch capacitive touch display, with resolution of 640 x 360 pixels. On the back, there’s a 5-megapixel camera that also captures video. As some of you may already know, Symbian Anna is the latest iteration of Nokia’s smartphone OS which brings refreshed UI, better browser and split-screen messaging. 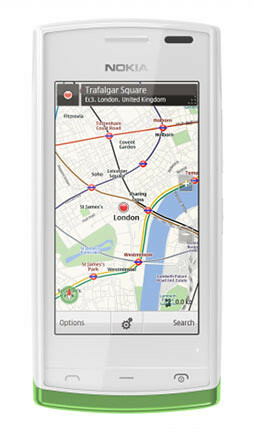 Nokia 500 also comes with the latest version of Nokia Maps for free drive and walk navigation. More on the specs now. 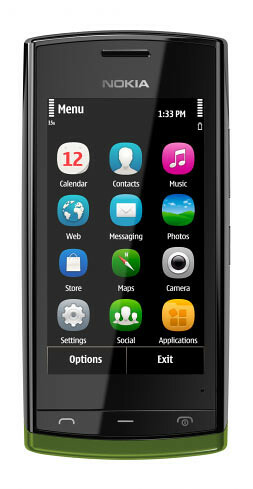 – Measures 111.3 x 53.8 x 14.1mm and weighs in at 93g – lighter than any other Symbian^3 phone to date. 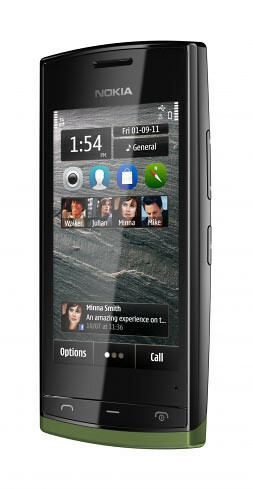 The Nokia 500 will be available in black and white varieties, black first and then white before the end of the year. And there’s three different-coloured back covers in the box. More colours for these will become available soon – including purple, azure blue, pink, coral red, orange and dark silver. Excluding any local taxes or operator subsidies, the Nokia 500 will cost just €150 before taxes and subsidies, and will be available from the third quarter of this year.